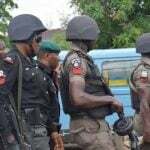 The Federal Government remains resolute in dismantling the structural conditions that make violent extremism thrive in the country, the Minister of Information and Culture, Alhaji Lai Mohammed, has said. The Minister, who stated this in Abuja, on Tuesday, at the public presentation of the ‘Policy Framework and National Action Plan for Preventing and Countering Violent Extremism’, identified such structural conditions to include unemployment, poverty, lack of education, corruption, and other social-economic factors. He said the Federal Government had embarked on developmental programmes as part of efforts to dismantle the conditions that feed violent extremism. “For example, the Anchors Borrowers programme has created over 6.3 million jobs for farmers through rice farming. “Equally significant, the Federal government has served no fewer than 246.4 million meals to primary school pupils across 20 States under the National Home Grown School Feeding Programme (NHGSFP) to encourage children enrolment in schools. 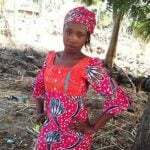 ”According to a widely reported recent survey, no fewer than 10.27 million children have been enrolled in public primary schools in the North West and North Central Zones of the country in the last one year, representing an increase of 20% in some of the states. This was attributed largely to the school feeding programme. Development programmes like the school feeding scheme are at the heart our effort to prevent violent extremism,” Alhaji Mohammed said. The Minister said the government was also taking a bold step to address the issue of recharging the Lake Chad Basin, which had shrunk by 90% between 1963 and now, thereby impacting negatively on the livelihood of the people that depended on it for farming activities. He said that, as part of its soft approach in tackling security challenges, the administration was equally engaging in dialogue with different key stakeholders in order to find possible and lasting solutions to the issue of herder-farmer conflicts, which was one of the security challenges confronting the nation. 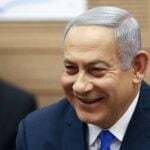 Israeli Prime Minister Benjamin Netanyahu praised a White House announcement on Monday ending sanctions exemptions for Iran’s oil customers, calling it “of great importance” in boosting pressure on Tehran. 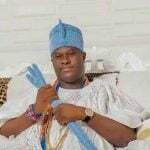 The Ooni of Ife, Oba Adeyeye Enitan Ogunwusi has reaffirmed his position on the family ties between Yoruba and Igbo nations, saying the two major ethnic groups in nigeria are inseparable members of the same family. 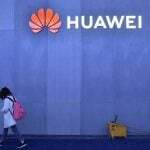 China’s Huawei Technologies launched on Monday what it said was the world’s first 5G communications hardware for the automotive industry, in a sign of its growing ambitions to become a key supplier to the sector for self-driving technology. After being the star of France’s 2018 World Cup triumph, Kylian Mbappe, has been the standout player for Paris Saint-Germain in a Ligue 1 title-winning campaign that has been slightly marred by the manner in which they limped over the line. 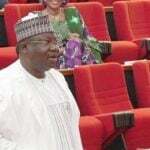 A group, Citizens Consultative Assembly (CICON), has said that Senator Ahmad Lawan “is most qualified than others” to run the affairs of the Senate in the 9th National Assembly. 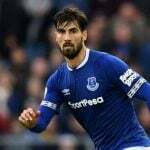 Fernando Llorente believes the decision to award his decisive goal for Tottenham against Manchester City was the right one. 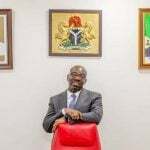 The Edo State Government has allayed fears that the state’s foreign debt profile was worrisome, arguing that the credits which the state enjoys were accessed as a result of the state’s transparent governance and prudent financial management.